There are at least three obvious issues here. 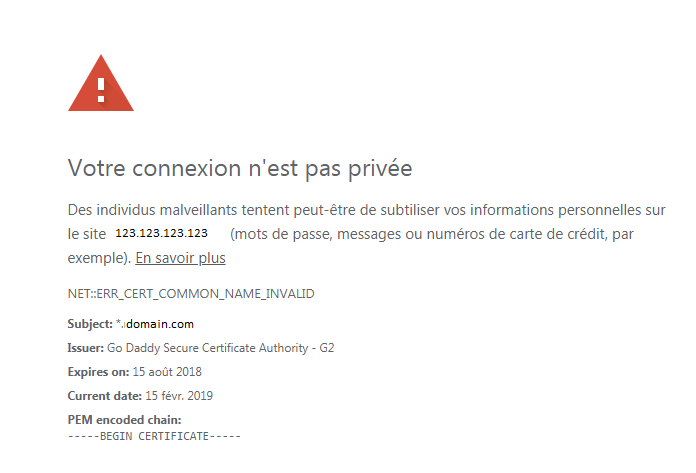 The NET::ERR_CERT_COMMON_NAME_INVALID tells you that the name in the certificate doesn't match the name you've requested in your browser. 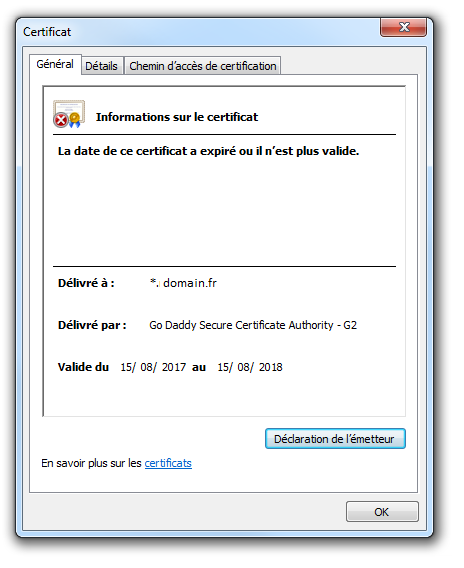 That makes complete sense as the certificate has a CommonName of *.domain.com while you're requesting by IP address. They will never match. You don't give enough information in your question to allow me to suggest a resolution, but as the error message suggests, the names must match. Either you have to have a DNS name instead of IP or a certificate with an IP address instead of a name. Note that modern browsers don't actually use the CommonName in the certificate (even though the error message implies that they do). Instead they use the SubjectAlternativeName extension, which you can see if you click on the Details tab and scroll down. Additionally, your certificate is only valid between 15th August 2017 and 15th August 2018. As I write this, it's the 15th February 2019, which doesn't fit between those two dates. That is, your certificate has also expired. 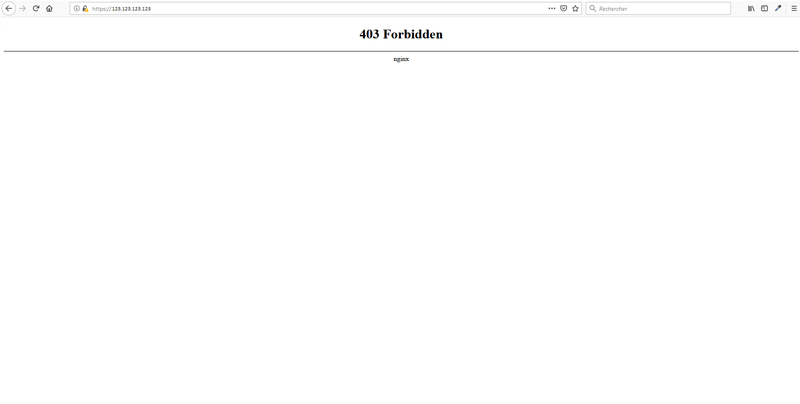 Your browser returns a 403 - Forbidden. Check the file permissions on the web root (/usr/share/nginx/html) to make sure they're readable by the user/group running nginx. Maybe www-data, depending on your distro. Not the answer you're looking for? Browse other questions tagged nginx centos ssl https or ask your own question.